Neuroendocrine tumors (NETs) pose numerous clinical challenges due to their rarity, heterogeneity and lack of standardized diagnostic and therapeutic strategies. Over the last five years, the treatment landscape and biologic understanding of NETs has shifted dramatically with significant advancements in diagnosis, loco-regional and systemic therapies rapidly being developed. Several large randomized phase III trials of novel treatments have resulted in new drug approvals and the increased knowledge of specific pathways implicated in neuroendocrine tumor growth has shifted the focus of many clinical trials. 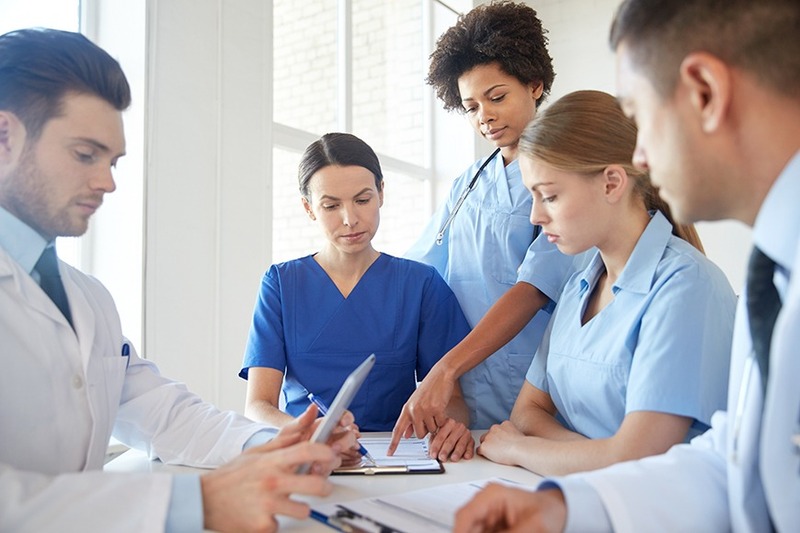 In light of these exciting new developments, NCAN’s NETCare program has been developed to provide the latest evidence based practice to health care professionals. We address how the expanding treatment choices and research studies will influence individual treatment plans and impact NET patient management in the future. Our CME programs for physicians, and CEUs for nurses are planned and implemented in accordance with the accreditation requirements and policies of the Accreditation Council for Continuing Medical Education (ACCME) through the joint providership of participating Universities and NCAN. • Recognize various NET disease presentations. • Interpret current advances in the histopathology of both primary & metastatic NETs and how classification determines diagnostic approach, management and prognosis. Assess the uses and limitations of various biomarkers in identifying and evaluating therapeutic response. • Identify new diagnostic and therapeutic agents that are impacting the practice of functional and molecular imaging. • Describe the surgical interventions available for different NET sites and explain the importance of an experienced NET surgeon evaluation for patients with multi-faceted, complex disease processes. • Illustrate the safety and efficacy of surgical and regional approaches in the management of hepatic metastases. • Define the significance of patient selection and the impact of tumor burden and location in determining which methodologies for liver tumors is appropriate. • Differentiate the new therapeutic options for tumor and syndrome control and how to determine the initiation and sequence of treatment. Evaluate the etiology of carcinoid-tumor-related fibrosis and carcinoid heart disease when forming diagnostic and management strategies to minimize the clinical complications from these two conditions. • Critique the clinical trial results and research data of Peptide Receptor Radionuclide Therapy (PRRT) to determine the optimal timing and sequence of this treatment option. • Explain the future directions in theranostics from a research and clinical perspective. • Specify the role and position of new therapeutic options in determining proper treatment modalities. • Formulate a treatment plan by comparing the clinical effectiveness for the various targeted and therapeutic options available for patients with metastatic disease. Check out our upcoming events for the next CME or CEU, and join us!